This dish is a simple staple in the Paleo world. 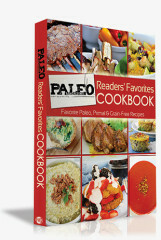 You can eat Paleo rice on its own or as a side with various other Caveman Cuisines. Sea Salt & White Pepper to taste. Using a box grater, grate up the cauliflower. 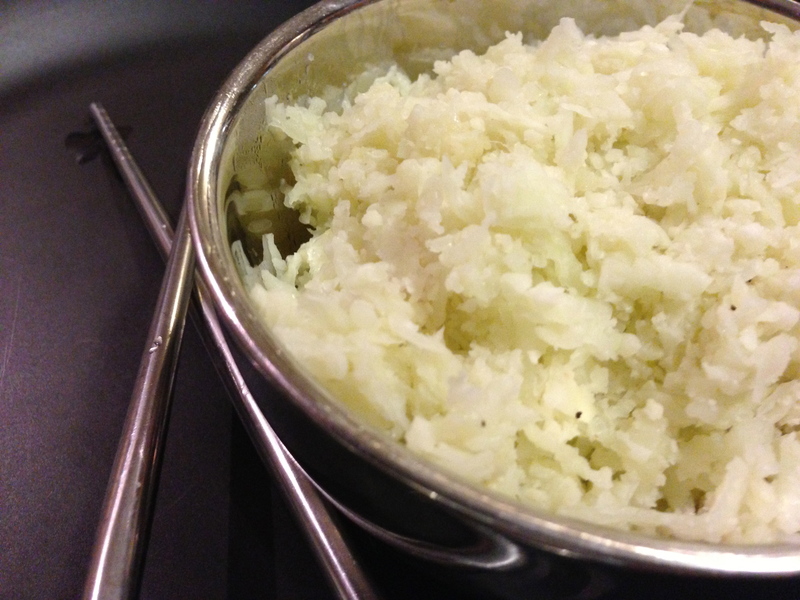 Using a frying pan on medium-high heat, sauté the onion in the ghee butter, until the onion becomes translucent. Add cauliflower to the pan, cooking for about 5 minutes. Add salt & pepper, remove from heat and serve. Treat this just like rice, add mushrooms or garlic if you like. That’s right just like rice but so much more nutritious! 2 Responses to "Paleo Rice"
I’ve been eating the Cauliflower in place of rice lately and Spaghetti Squash too Great alternatives! I’m glad to hear the taste is working for you! Especially sine it’s a cleaner way of eating.